This is a high simulation DIY intelligent spider robot, spiders, eight legs intersect to accurately reproduce the spider crawling movements. 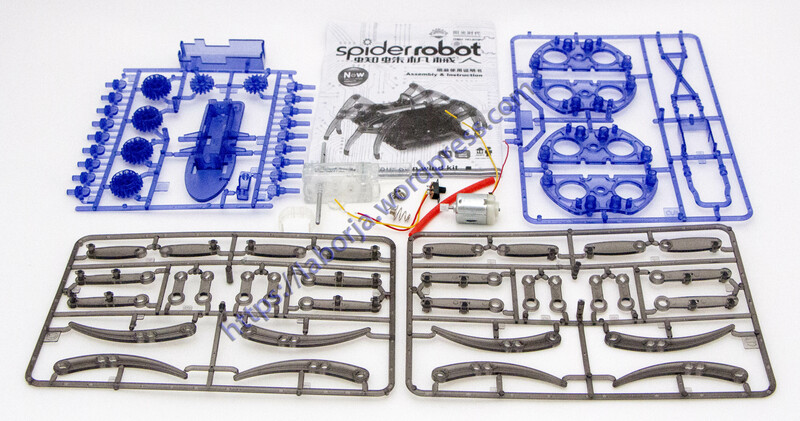 Using two different assembly methods can be assembled with different pace and gait spider robots. Educational Development: assembling the learning process through immense interest , you can really feel the joy of feeling constantly conquest and accomplishment. Can greatly improve the limits of creative thinking ability, and tap their potential , develop hand- eye brain binding capacity.